I’m sure at this point you’ve seen just about every store selling the popular plastic-based earring designs, featuring different patterns, colors, and shapes. This trend has taken over the statement earring industry and people are ecstatic. Being made with resin, lucite, or acetate, the products are inexpensive, light weight, and most of all, stunning. It’s a “Win, Win, Win” situation as Michael Scott might say! What I struggle with is the quality material that earrings are made with. Like a lot people, I have sensitive skin which turns a dark green if I wear cheap earrings. That’s why I avoid purchasing these fashion-forward earrings from places like Forever 21 and H&M. What I did instead was order mine from this adorable Etsy shop called Fenna & Fei that sells acetate earrings with hypoallergenic posts! The posts are made with high quality surgical steel so I haven’t had any problem with them turning my skin green. I’ve featuring all three Fenna & Fei designs that I own below. First up is the Jay Hoop in Sunflower, a gorgeous asymmetric hoop with yellow, white, and black tortoise design. I’ve received the most compliments with these bad boys. They pair well with a casual city ensemble but also go great with beach wear. 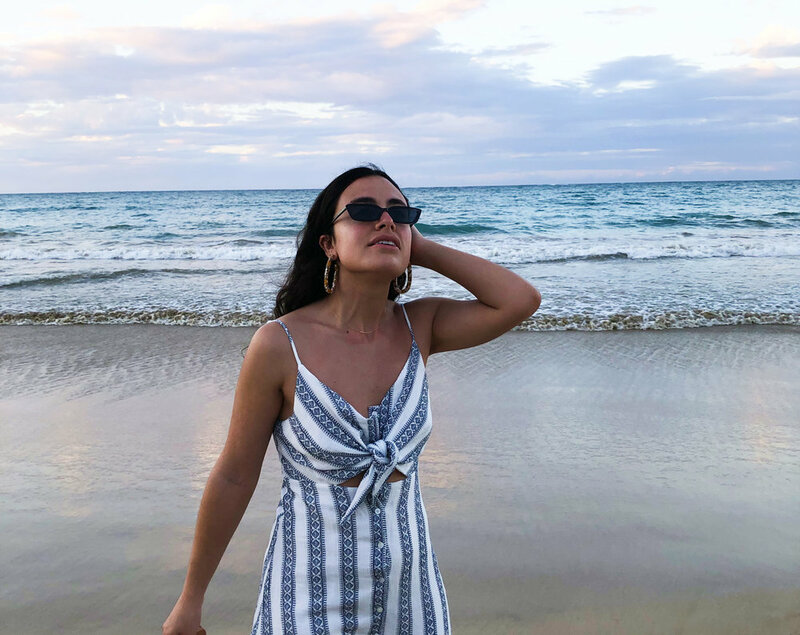 I brought them to Puerto Rico last week and Bill snapped a few photos of me wearing them on our sunset walk along the beach. 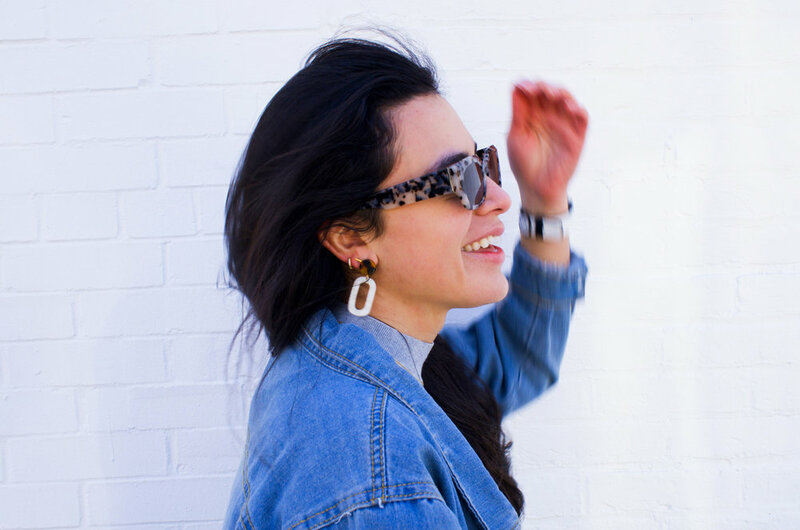 Second, is the classic Dark Tortoise Hoops, which are pretty much epitome of both the plastic earring trend and the tortoiseshell accessory trend. If you’re looking for a place to start with this trend, I highly suggest starting this these! 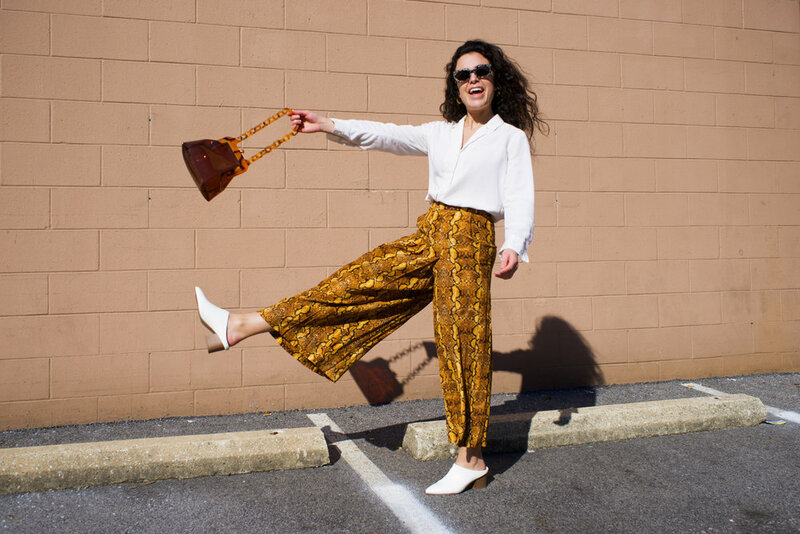 Speaking of tortoiseshell, I linked up three of my favorite tortoiseshell accessories in my last blog post! And last but certainly not least are the sophisticated Oval Pearl Dangle Earrings. While these beauties can be dressed down with a denim jacket. But they also go really well with an elegant maxi dress, which is how I wore them in Puerto Rico when I was strolling around the streets of Old San Juan, Puerto Rico. Not only does Fenna & Fei offer a large selection of unique designs, but best of all, the earrings are environmentally friendly. Fenna & Fei uses natural and renewable cellulose acetate. The acetate is made from cotton pulp and 100% acetic acid and is non-petroleum based, making it a better alternative to synthetic plastics. Aubrey, the #bosslady behind the scenes of Fenna & Fei, has priced all of her designs fairly so that they’re affordable for everyone! 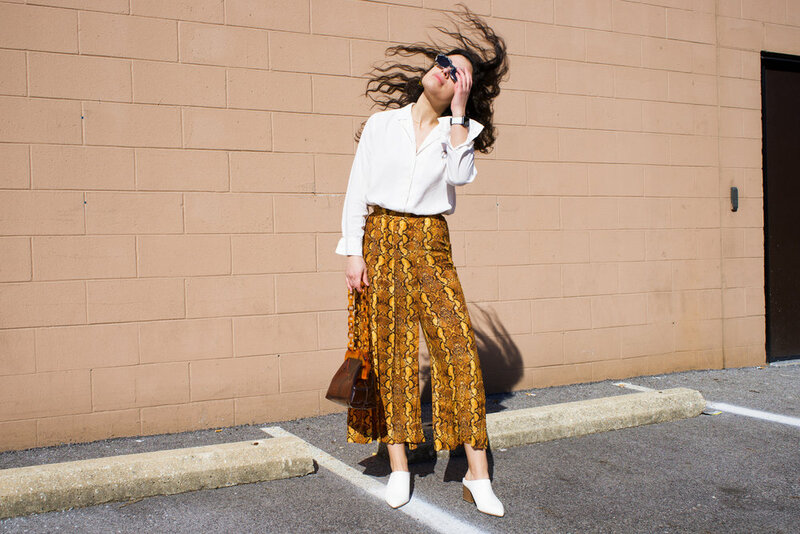 If you haven’t noticed, the tortoiseshell trend has been spreading like wildfire. It started with eyewear and made its way to jewelry and purses. 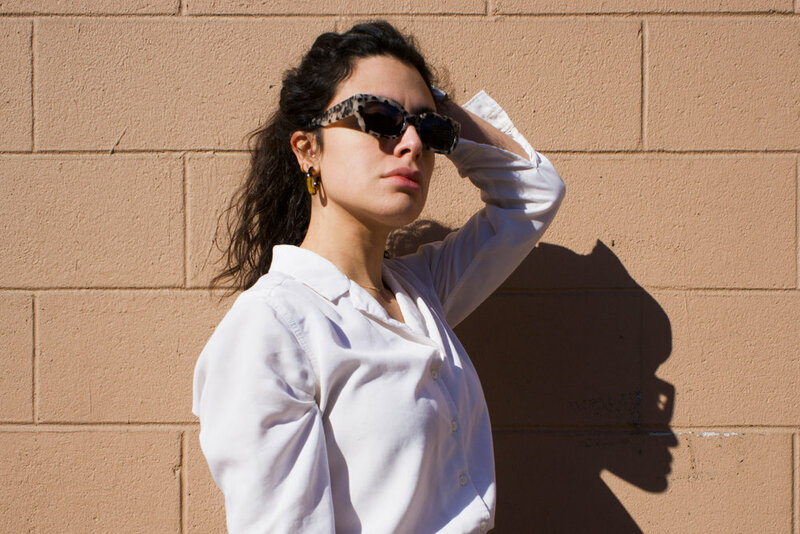 Today, I’m sharing my favorite tortoise shell accessories from three categories sunglasses, earrings, and handbags. Tortoiseshell eyewear has long been a classic. But bolder frames are now sporting the pattern and making quite the statement. The Beid in Beige, by Covry sports a thick body and a tortoiseshell design with cool tones. 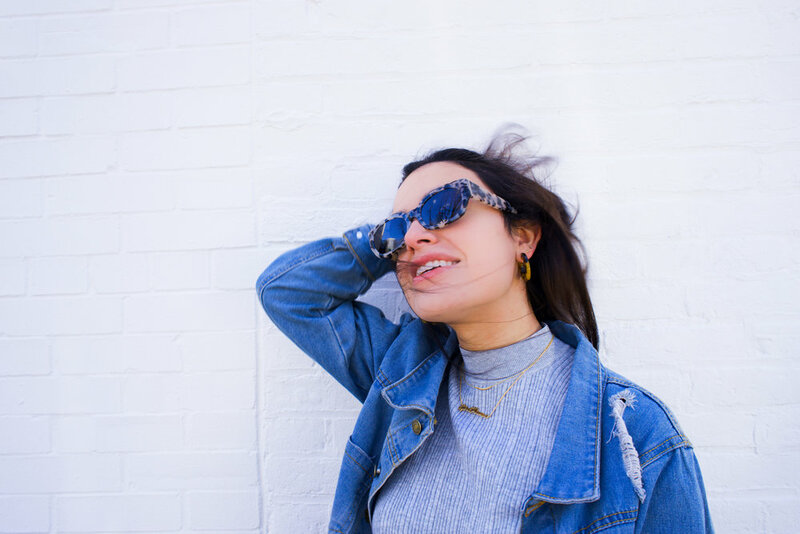 Covry, the New York based brand, creates gorgeous designs with quality frames and lenses. I love Covry so much that this is actually my second pair! Check out my previous blog post about their Vega frames, which feature a subtle white tortoiseshell design! I’ve practically seen tortoise shell earrings in every trendy shop that I’ve walked into the past month! 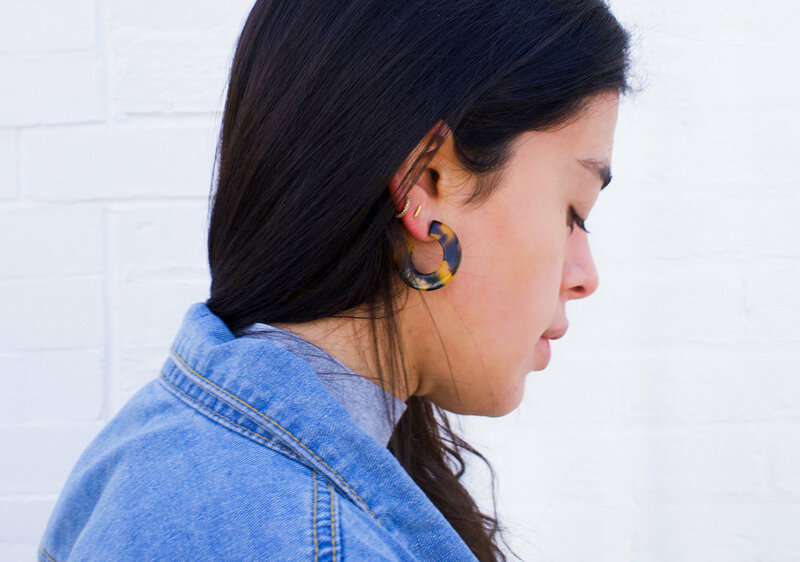 But the Dark Tortoise Shell Hoops, by Fenna & Fei are different. Not only are these beauties on trend and affordable, but their posts are hypoallergenic. That means there’ll be no turning black for my ears! Brands like Forever 21 are a great place to find the lowest price for fashion-forward jewelry, but its never good quality. In general, earrings like that make my skin turn black/green. That’s why I’m so grateful that I found Fenna & Fei, a brand that uses hypoallergenic surgical steal statement earrings. The hoop of the earring is made of cellulose acetate, a plant-based plastic, which is non-petroleum based, biodegradable, and Earth-friendly! And because of the material it’s made with, these earrings are insanely lightweight. I generally stray away from big statement earrings because I’m afraid it will weight down my ear lobe. But thankfully that is not a problem with these beauties. The #bosslady behind the scenes of Fenna & Fei is a talented artist who’s always happy to hear form her costumers so don’t be shy if you have any questions. Stay tuned for a blog post specifically abut trending statement earrings featuring more Fenna & Fei designs! II have been lusting over the idea of a handbag design that incorporates tortoiseshell for a while now. When I laid my eyes on the Acrylic Tortoise Shell Bag, by Sollista, I swooned! This bag incorporates two popular bag trends; transparent acrylic and tortoiseshell. So it’s a two-for-one! You’ll notice that the flexible plastic body is not complete transparent. I actually prefer that so that it won’t discolor and people can’t see the contents of the bag as easily. Also, the materials that it’s made with are very durable and best of all, cruelty free! For only $40 you won’t find a better deal! 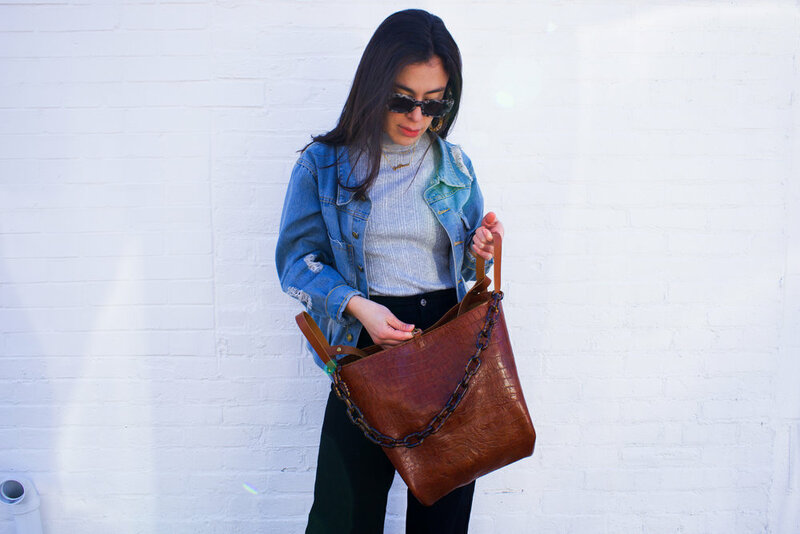 Sollista, an Amsterdam based brand, offers so many stylish bags, all of which are cruelty-free and set at affordable prices. I highly suggest you check out their collection and if you have any questions before purchasing, the boutique is very responsive and eager to help costumers! And don’t forget to use code BESTTRENDS for an extra 15% off your purchase. So, have I convinced you to join the tortoiseshell bandwagon? You won’t regret it! Is The Fur Coat Trend Too Extra? Okay so maybe this blog post is just an excuse for me to whip out this family heirloom (A.K.A. this fur coat that once belonged to my favorite Aunt), which for a while I only wore for very special occasions. This was mostly because I always thought it was too extra for everyday use. But then I remembered.. EXTRA is IN! Even though I am a huge fan of minimalism, I do dabble in the maximalist trend from time to time. In today’s world of fashion, being extra is never frowned upon. And fur coats especially are very popular this winter season; faux fur and genuine fur alike. If you decide to purchase a genuine fur coat, I highly suggest buying a vintage one, so as to support the sustainable fashion movement. 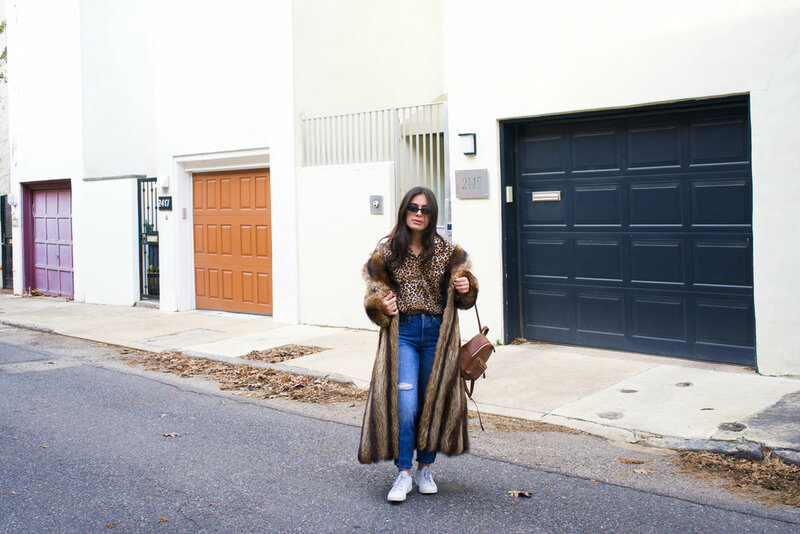 I’m linking up a few options for shopping vintage fur below. So instead of letting this bad boy collect dust in my closet until the next winter wedding I have to attend, I’m going to get more use out it on the weekends. Perhaps when I strut down the streets of Center City window shopping?! Is there anyone that doesn’t get sick of winter by this time of the year? Because I’m over here longing for some spring style! So I decided to throw together a winter-friendly outfit that emulated the warmer spring season. Winter is usually about dark colors and covering up with sweaters and thick coats. And while the frigid air doesn't allow much leeway with the latter, we can still play around with former (a.k.a. the color scheme). When I think of spring, I think of wearing light colors. Which is why this white turtle neck could not be more perfect for this occasion. It’s warm enough to wear during the winter but it’s bright white hue reminds me of spring. It’s from SheIn, an online boutique based out of China, and plus it’s only $15! On a similar note, I’m sporting this classic J.Crew Factory coat in light grey, which by the way is on sale! And then I went full spring-time with these gorgeous leather heels by Forever Soles. Their Peace & Love Sandal is their signature shoe, and for good reason. Between the minimalist design, braid and tassel details, and the supple leather material, it’s no wonder I couldn’t wait to wear them. I’ll actually be getting great use out of these beauties come spring and summer with all the weddings coming up. They go with just about any wedding-guest dress. ORRR if you’re a bride-to-be, obviously these shoes are a home run! If you are looking for footwear to wear on your special day, be sure to check out the rest of Forever Soles’ collection. 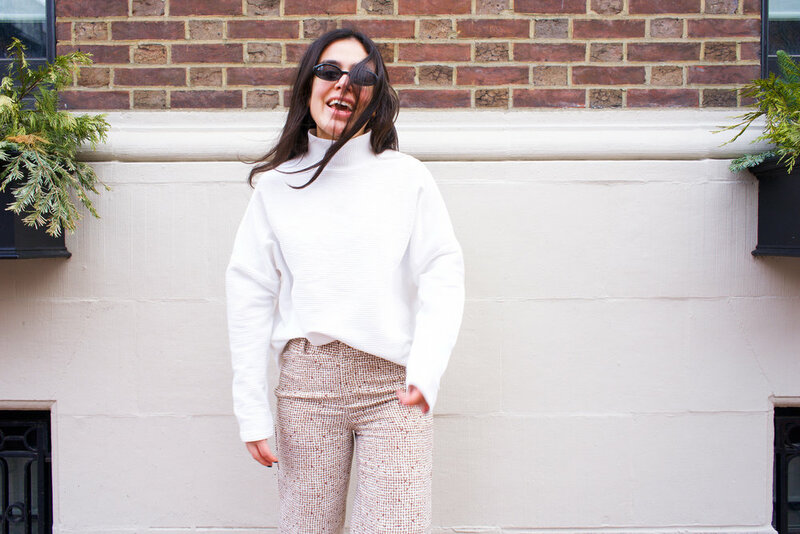 So if you’re longing for spring like I am, try wearing some more white, beige, and light grey this winter while you count down the days to warmer weather! !